A double desk is perfect for creating an office space for two people. This type of desk can be installed into an open office environment or into a private office suite with a space saving design and allowing two people to share resources and work collaboratively. These desks can be arranged in many different ways which include back to back, sharing short sides to create an open U shape or sharing long sites to create a T shape. These desks are perfect for doing computer work and can be used by kids or adults alike. There are a lot of advantages to implementing double desks into your office space. The most obvious is that it allows two people to collaborate easily on projects. Another less common thought about advantage is that the end users can share things like printers, fax machines, scanners or even a phone. One of the biggest advantages is a space saving design that allows you to maximize square footage in your space and allow more people to work in a smaller environment. 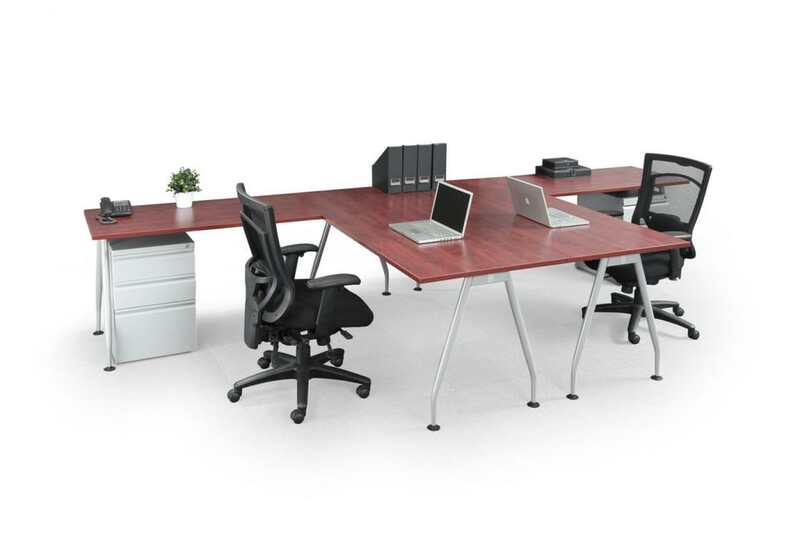 A double L shape desk is a very popular way to configure your workstations. 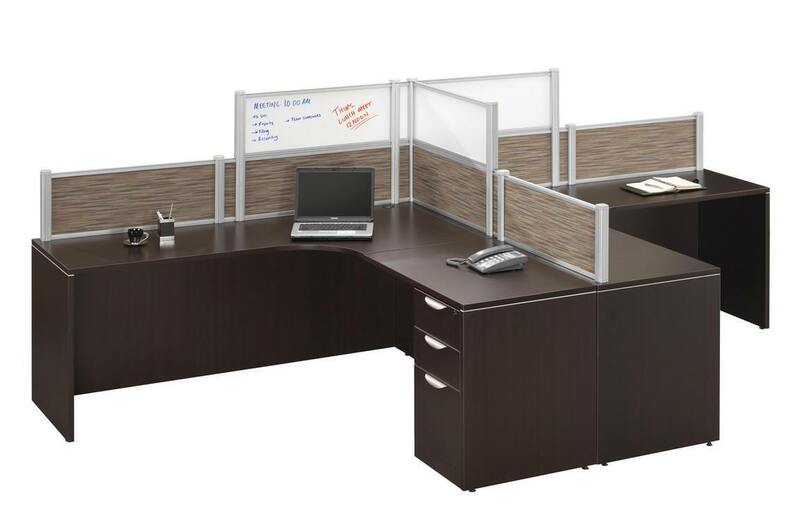 It can include privacy panels inbetween each workstation to offer some privacy while still allowing people to work as a team. Any two person workstation will allow for end-users to put computers or laptops on and in most cases will allow for dual monitors to be installed at each workstation. With modern manufacturing techniques, desks can come in almost any configuration you are looking for, whether it be sleek and modern or traditional, whatever the look you are trying to accomplish can be achieved. There is a huge variety of double workstation desks that are perfect for businesses that need to save space or create open collaborative work spaces. Theses desks can include any number of features which could include sit to stand ergonomic workstations and additional storage such as a hutch or pedestal drawers on each side of the workstation. Some advantages of having a desk for two people is that you can share office resources such as printers, scanners, phones or fax machines without having the cost to buy two of any of these items. You can also work collaboratively on projects or have privacy panels installed between the workstations if more privacy is needed and you are simply trying to save space where you have limited square footage. If you are looking to make the most of your work space, give us a call at (608) 831-1012 and let us know your needs. We can work with you one on one to insure your office space suits you and meets all of your needs.